Laura Ashley the Tea Room has added vegan afternoon tea to its menu. The brand, which has outlets in Burnham Beeches, Coventry, and Solihull, says it wants to cater to the growing demand for vegan options. The vegan menu, which costs from £20 per head, features sandwiches including hummus and roasted vegetable, tomato and shallot chutney, and avocado and lime crostini. It also offers scones with jam, double chocolate cake, banana cake, and fruit skewers. "With the rise of veganism in the UK we’ve seen an increase in vegan diners visiting the tea rooms," Nigel Cooke, Head Chef at Laura Ashley The Tea Room Solihull, said in a statement sent to Plant Based News. 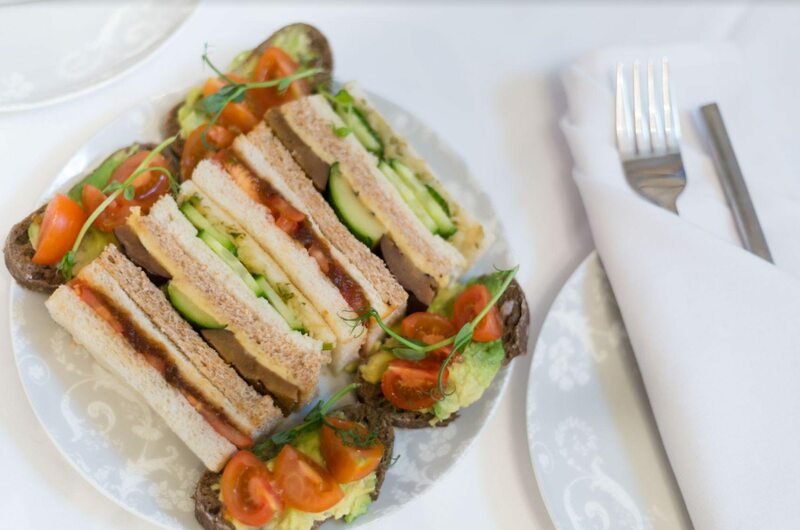 "We created our new vegan menu so that we can offer everyone an opportunity to enjoy the perfect afternoon tea experience, along with our vegetarian and gluten-free menus. "Afternoon tea isn't usually a vegan-friendly meal, so we are delighted to be able to launch a full afternoon tea completely free from animal products." Laura Ashley The Tea Room joins a number of popular establishments in adding vegan afternoon tea to its offerings - including London's iconic OXO Tower Restaurant. The restaurant, which is on the eighth floor of the iconic OXO Tower on London's South Bank, will offer the tea between January 2-31. The menu will feature sandwiches, scones, sausage rolls, and desserts. "It's completely homemade, completely plant-based, and completely indulgent," said a spokesperson. "That's what we want from an afternoon tea."